Beautiful Bride, Beautiful Flowers, Beautiful Day! 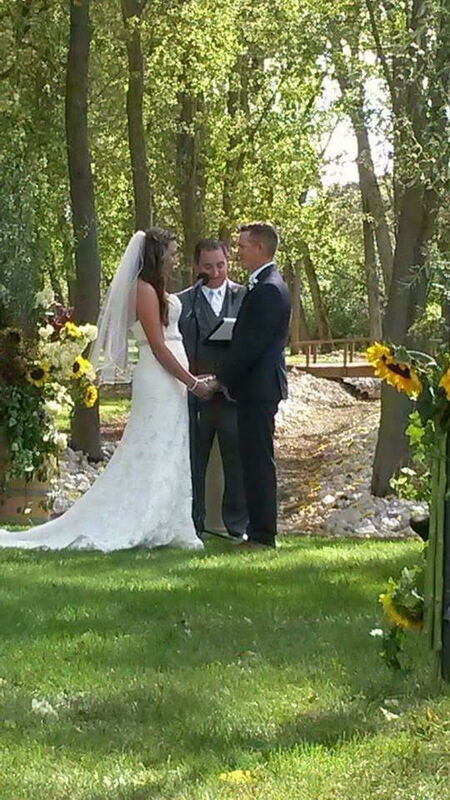 Bring together Locally Grown Flowers, Loving Couple and a Perfect Day and you get one Beautiful Wedding!!! 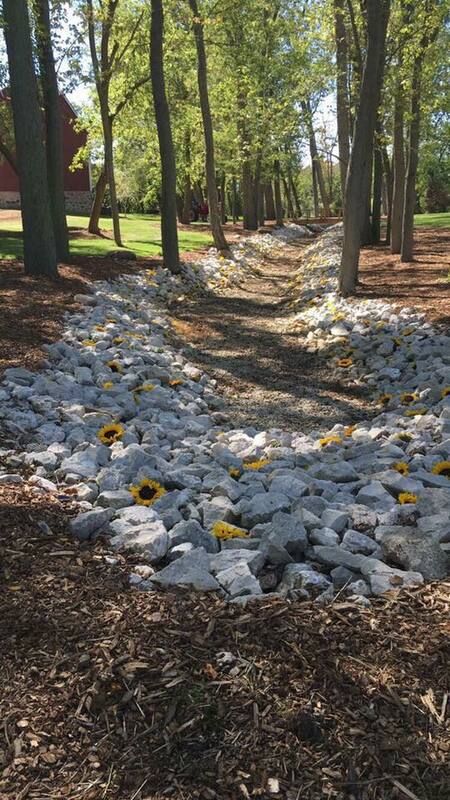 On September 17th, Paige Kennicott married her high school sweetheart, Shayne Jacques at a garden ceremony held at the Kennicott’s home in Waterford, Wisconsin. Paige manages production at the Midwest Blooms/Kennicott Kuts farms. Paige is the daughter of Stephen and Penny Kennicott and granddaughter of Red and Katie Kennicott. 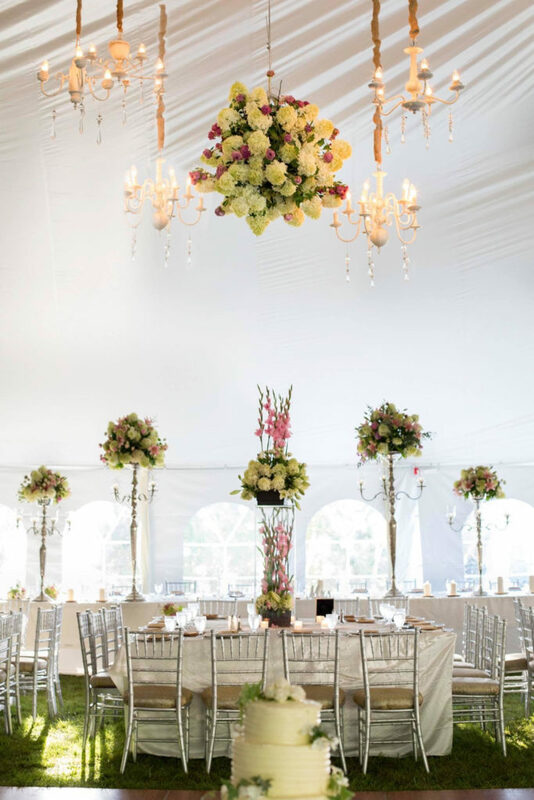 Flowers from Midwest Blooms/Kennicott Kuts were featured in the design including hydrangeas, dahlias, sunflowers and tuberoses. Duchesse peonies from Holland were stored over two months to provide her with a nostalgic wedding bouquet created by Dan Simonelli, Daniel’s Floral from Chicago. 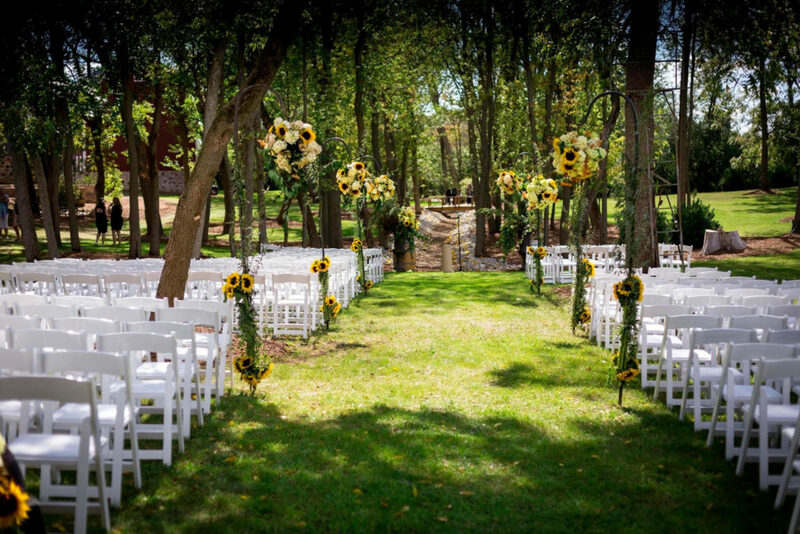 The wedding service was in the backyard of the bride and the service was under the trees. All with Locally Grown Flowers from their own flower farms! 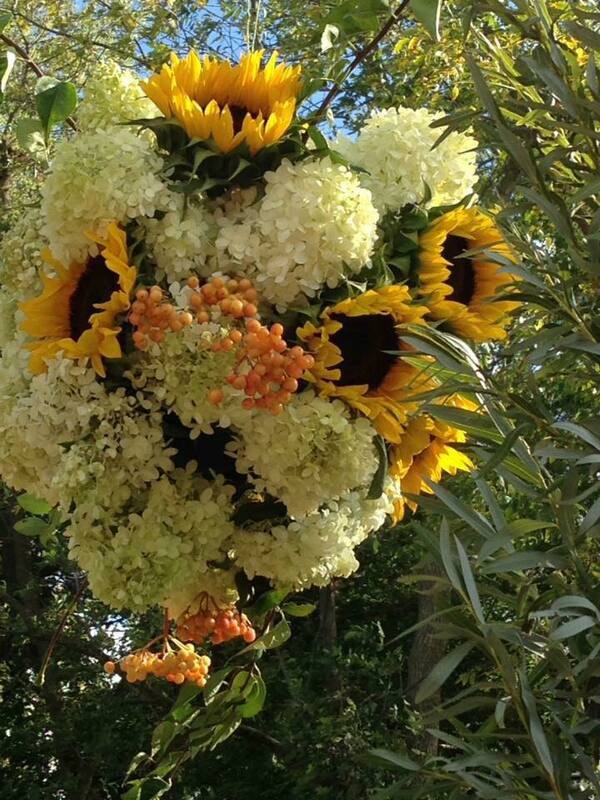 Sunflowers, hydrangeas, and viburnums were designed as large balls on the end of wedding shepherd hooks. 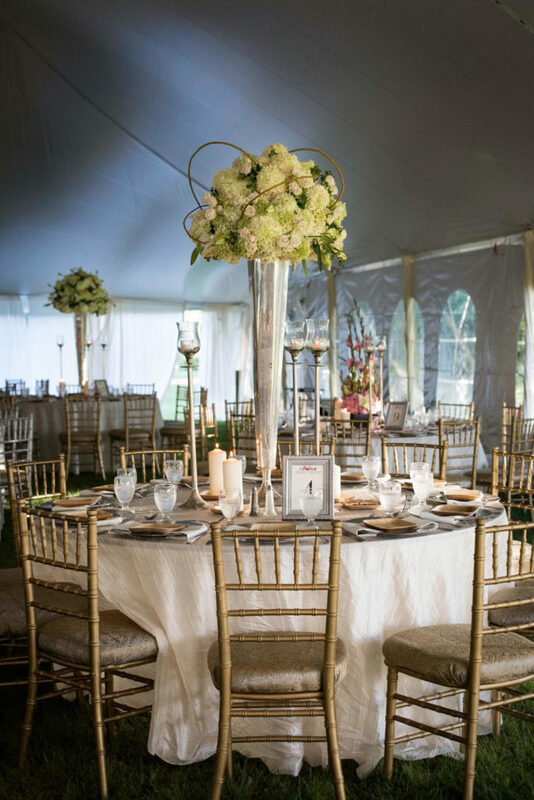 These designed hooks brought the green, yellow, brown and white colors of the wedding theme down the aisle and through the pathway to the reception area. 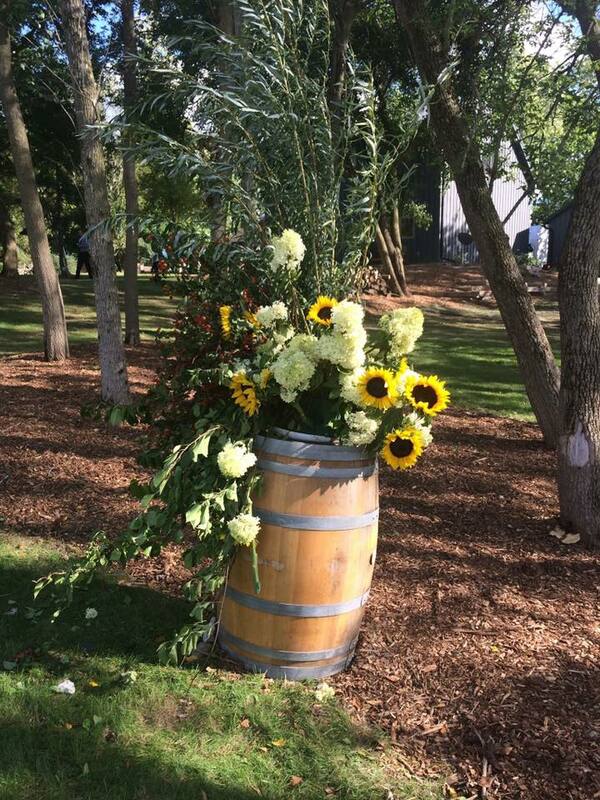 Barrels of flowers were another design element at the wedding.